The mountains of Wudang (or Wudangshan) can be found in the northwestern area of the Hubei Province in The People’s Republic of China and is part of the larger Daba Mountain Range. 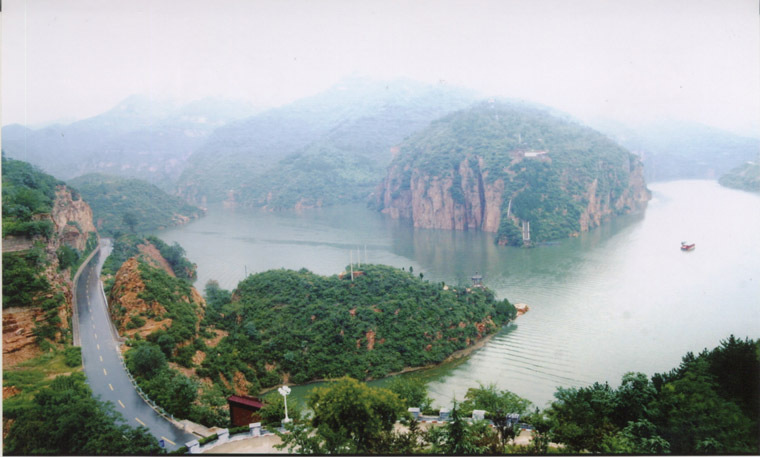 Its best known for the ancient Taoist monasteries that reside there (the area is considered the birthplace of Taoism). Imagine Seven Years in Tibet with slightly smaller mountains and extremely unlikely encounters with Brad Pitt. Or check out the new Karate Kid, which features Jayden Smith climbing to the summit of Wudang Mountain during his training. For backpackers, it’s an interesting area to visit, not only for the beautiful landscape and rugged hiking terrain, but also because of the amazing history that can be found in the architecture, the traditions, and the people who live there. There are two easy ways to travel to Wudangshan; you can fly or take a train from Beijing. While the train ride is about 800 miles (and 20 hours long) from Beijing, it’s substantially cheaper and probably more direct than flying. By plane you would have to fly to Xiang Fan City and take a taxi for the remaining 2.5 hours of the trip, whereas upon entering Wudangshan Station by train, you will only be twenty minutes away from the mountains and their temples (by bus or taxi). If you arrange to visit one of the martial arts schools located in the mountains, they can help you obtain your visa by sending a letter of invitation and they will even pick you up at the train station (although they may expect you to take some classes). You can find lodgings in nearby Danjiangkou, but it’s an hour and a half by bus to the temples. There is, however, a hotel at the top of Wudang Mountain that can be reached via a three-hour hike up paved stairs (the path is notoriously steep, so the staircase is probably a better bet) or through the use of a cable car system. Many travelers choose to stay at the hotel in order to see the glorious sunrise. As a visitor, you can spend the day taking in a Kung Fu show, participating in a Tai Chi class, or simply hiking on one of the many trails that run all over the mountain. While the area has become somewhat commercialized, you should keep in mind that all of the buildings are still working temples in which meditation and martial arts are practiced just as they were in the 7th century when the complex was first erected. The mountains themselves are like something out of a fairly tale, whether they’re covered in lush greenery or a sprinkling of snow. The subtropical climate can be counted on to provide an almost constantly misty atmosphere, making the environment appear somewhat ethereal. 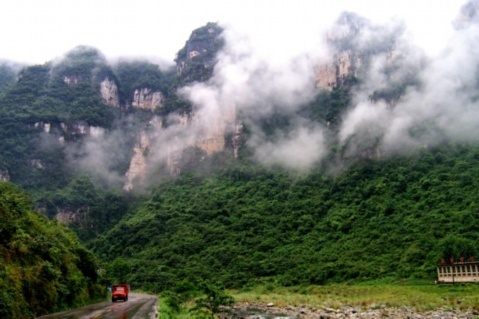 But beware: the monsoonal climate ensures abundant rainfall throughout the year and average temperatures of about 70-80 degrees Fahrenheit in the summer to 20-30 in the winter, although the temperature drops somewhat as you ascend the mountains. The best times to travel are spring and fall since the summer climate is hot and humid and there is snowfall in the winter. However, travel in the off-season will allow you to avoid the crowds of tourists that show up in milder weather.